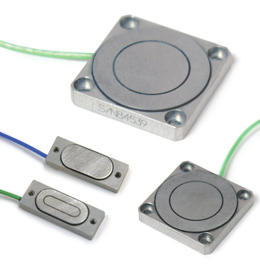 The Queensgate Nanopositioning Sensors – NanoSensor, is a non-contact position measuring system of extraordinary sensitivity based on the principle of capacitance micrometry. It can resolve to picometres with a range of up to 1.25mm. Two sensor plates (Target and Probe) form a parallel plate capacitor. NX Series, all metal construction, are typically available in either Aluminium or Super Invar.